Ear wax is actually called “cerumen” by scientists and doctors, and it’s not actually even wax in the traditional sense. 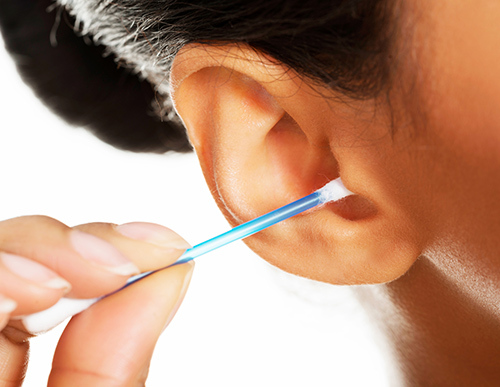 It’s an ear-cleaning solution that’s made specifically by your ears to keep your ears clean. So why would you want to get rid of it? It traps stray dust and dirt, preventing it from getting deeper into your ear canal. Then, as you go through your day talking, chewing and yawning, those actions actually move the soiled ear wax down and out of the ear canal where you can easily wipe it out with a washcloth during your shower. So easy, right? Ear wax, for all its gross appearance, is pretty cool! So whenever you stick a finger, swab, key, fork, pencil, chopstick, etc. into your ear to dig out what you think is unnecessary ear wax, you’re actually thwarting your ears own self-cleaning process, shoving cerumen back down into the ear canal where it might get impacted and cause hearing loss—or injury from sticking things into your ears that you shouldn’t. But sadly, they happen all too often. About 12,500 kids all across America end up in the doctor’s office each year with ear cleaning injuries like torn tympanic membrane (ear drum) or cuts and lacerations inside the ear canal. Unfortunately, these accidents can cause hearing loss, particularly during a developmentally important time in life. Aggressive ear cleaning with pointy objects is something the whole family could do without. So no ear candling for you! While you’re in the shower, use your washcloth to gently wipe around your ears, taking care not to stick your finger into the ear canal. Then just towel away the excess water when you’re done and voila! Ears sufficiently cleaned. But if you have any concerns about your ear health, excess ear wax, impaction, ear injury or hearing loss, schedule an appointment with your hearing care professional today for appropriate care – and be a little more thankful for that hard-working cerumen!